Everyone from grandparents to grandchildren can enjoy a railway journey in miniature to celebrate that special occasion with friends and family. You can reserve the railway, a train, and its facilities for the use of your party of up to 70 people.The railway is run entirely by volunteers for the enjoyment and education of the local community. Any profits made on running days or through the private hire of the railway are used to maintain and improve the facilities offered to our visitors. Crowborough miniature railway is able to offer something very unique for that special occasion or birthday party. The railway can be hired for the use of a private party, offering pleasant grounds; a boating lake for the use of sailing shop bought, kit built, or home-made model boats, and train rides on the miniature railway behind a diesel/electric locomotive. The railway is available to hire throughout the running season (Easter to 5th November) on any Saturday for 2 hours (11am until 1pm). Please e-mail, telephone, or enquire at the Ticket Office and we will be happy to discuss your requirements. Thank you for supporting your local miniature railway! We can host visits by local Societies for the entertainment and education for all those who attend. The Railway can be provided exclusively for the visiting group at a predetermined time as arranged, and we are flexible with what day providing plenty of notice is given. 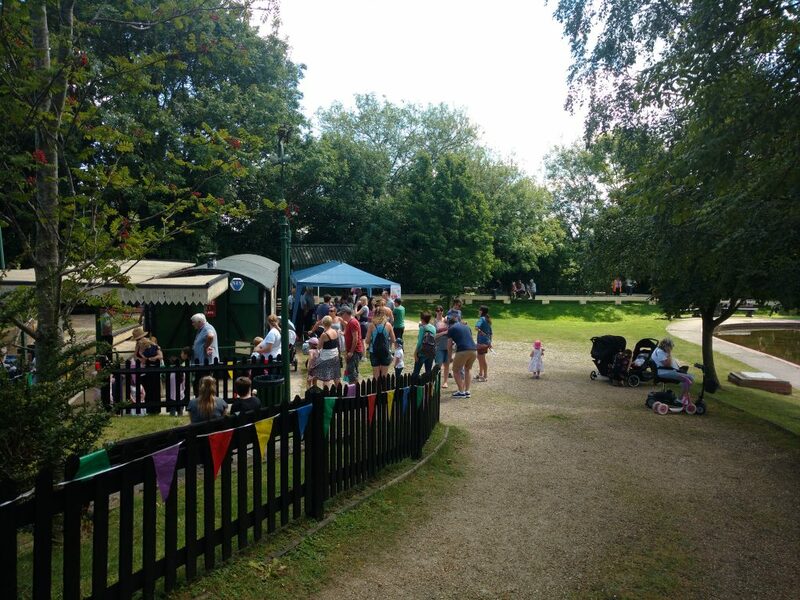 The grounds of the railway can be the ideal venue for an outing for Beavers, Scouts, Rainbows and Brownies. The trains and the use of the model boating lake is at the disposal of the visitors and can be used for model boat building exercises or competitions. Anyone wishing to arrange a visit should contact the railway by email. 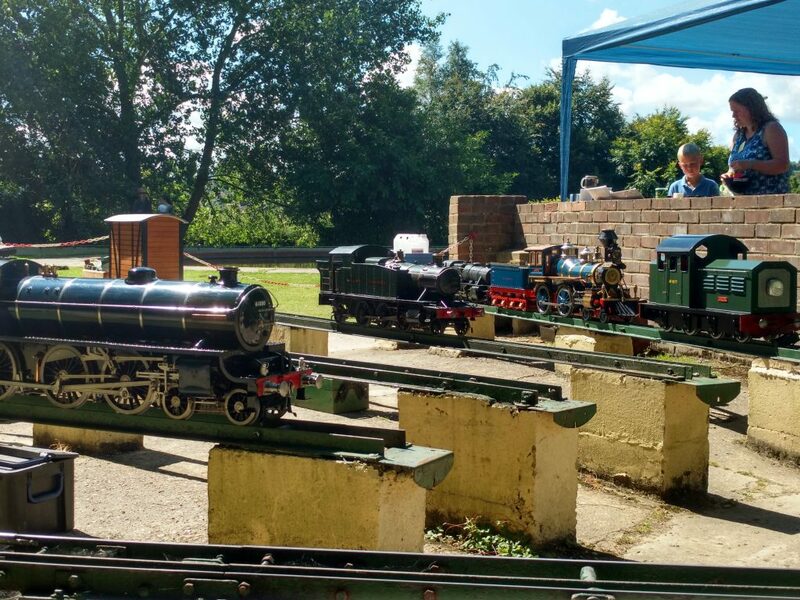 The Crowborough Miniature Railway welcomes other miniature railways to visit in addition to sending out invitations to those clubs from time to time. 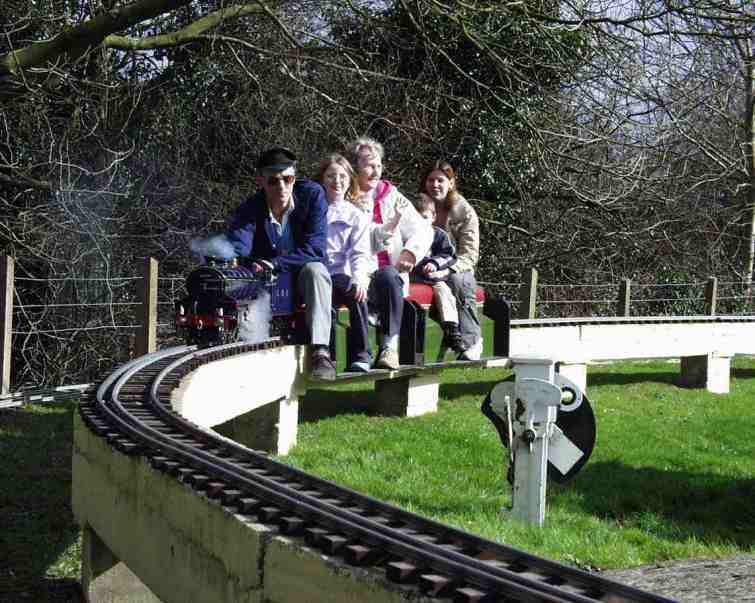 Crowborough Miniature Railway offers a varied and interesting drive with several descents, inclines and long sweeping curves which can be challenging and enjoyable to drive. Now that the railway’s track has been extended, the capacity of how many locomotives we can run at any one time has increased to four or five comfortably. Any clubs wishing to arrange a visit to the Miniature Railway at Goldsmiths Grounds should contact the Crowborough Locomotive Society via email.